This charming table originates from Hungary. It has a naturally distressed finish which has been acquired through years of use. 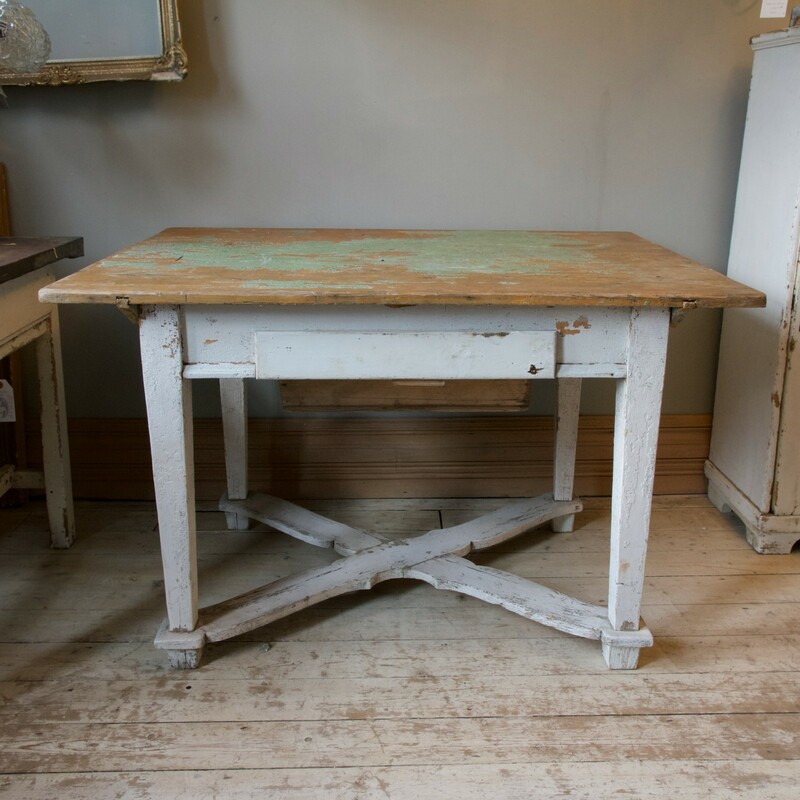 The table top has the remains of the original crackled green paint and the base retains the original white paint, this too is crackled. There is a large single drawer perfect for storing linen in.